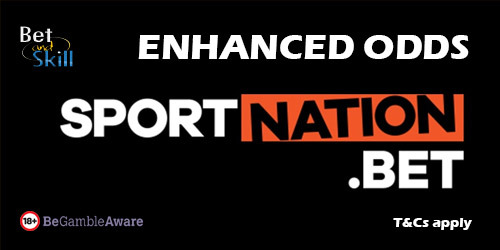 Back 50/1 Chelsea to win vs Arsenal at SportNation! Best price! A SuperSunday matchin Premier League will see Chelsea and Arsenal locking horns at Stamford Bridge this week and SportNation are offering the best price on the Blues to win! Find here how to claim 50/1 Chelsea to beat Arsenal! Chelsea have bounced back from their disappointing opening season deafeat at the hands of Burnely recording league wins over Tottenham Hotspur, Everton and Leicester City. Furthermore, they made a red-hot start to their Champions League campaign by crushing Qarabag 6-0. Simply register and deposit through the promotional page. Then proceed to place your bet on 'Chelsea to win vs Arsenal' in the 'Match Winner' betting market at standard odds. 2. Make your first deposit and place a bet on Chelsea to beat Arsenal at normal odds. 6. Offer expires 18.09.17 at kick off. 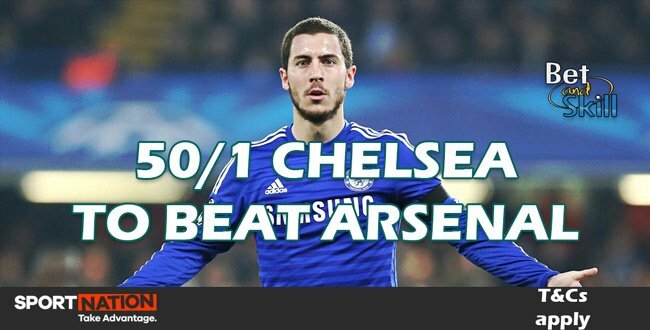 "Back 50/1 Chelsea to win vs Arsenal at SportNation! Best price!"